The post Sew Organized: Best Bags for Quilters appeared first on A Quilting Life. We have been busy as a bee getting ready for Lori Holt’s (of Bee in my Bonnet) newest notion, the Bee’s Knees Book Stand! Easily read your quilt patterns, quilting books or cross stitch charts with the Bee’s Knees Book Stand! It can hold your quilt pattern or book right in front of you as you follow cutting or piecing instructions, so you can stay on track. We do have a giveaway of this stand so be sure to read to the bottom to see how to enter! 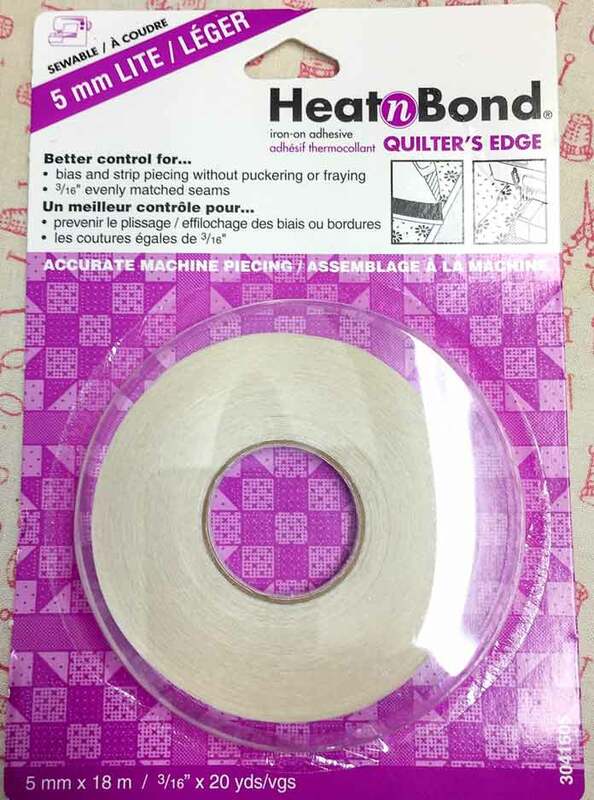 If you’ve used any of the HeatnBond products you’ll know how important they are in your sewing adventures. The sewing is easier and the finished results last a lifetime. 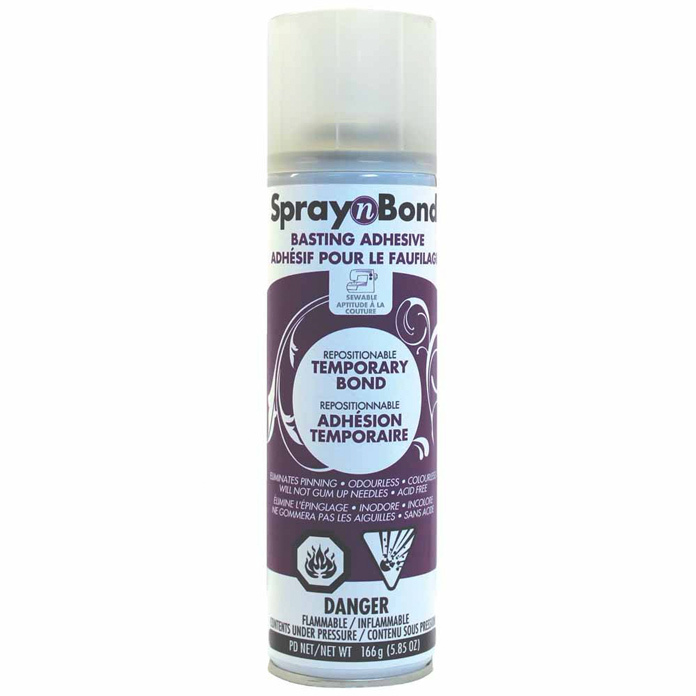 Join us this week to explore other HeatnBond products you might not know about or have not yet used before to see what’s possible with them. If instead, you’re new to the HeatnBond products, I’m so glad you’ll join us next week for the in-depth tutorials for the products that follow. 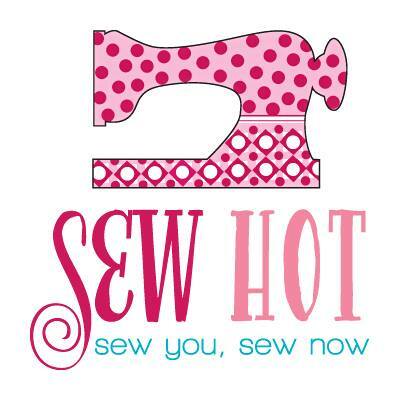 I am thrilled to welcome Sew Hot as my newest sponsor. 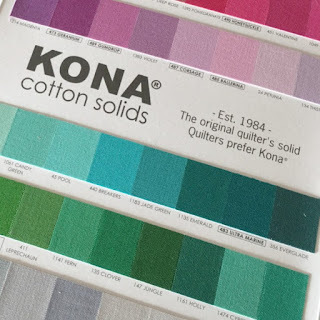 They are one of my favourite online shops, in part because of their amazing range of interfacing, notions and hardware, and (of course) the most gorgeous fabric collections. I don't know about you but when I'm ordering online I like to find shops that have everything I need. Sew Hot covers so many bases and also stocks Kona solids, Aurifil thread, Richard Hemming needles, Emmaline Bags hardware, Paper Pieces and much, much more. Yesterday, all of the blocks for our Square Peg—Round Hole quilt were pieced and I introduced you to the TrueCut Linear Rotary Blade Sharpener. Did you go out and get one? 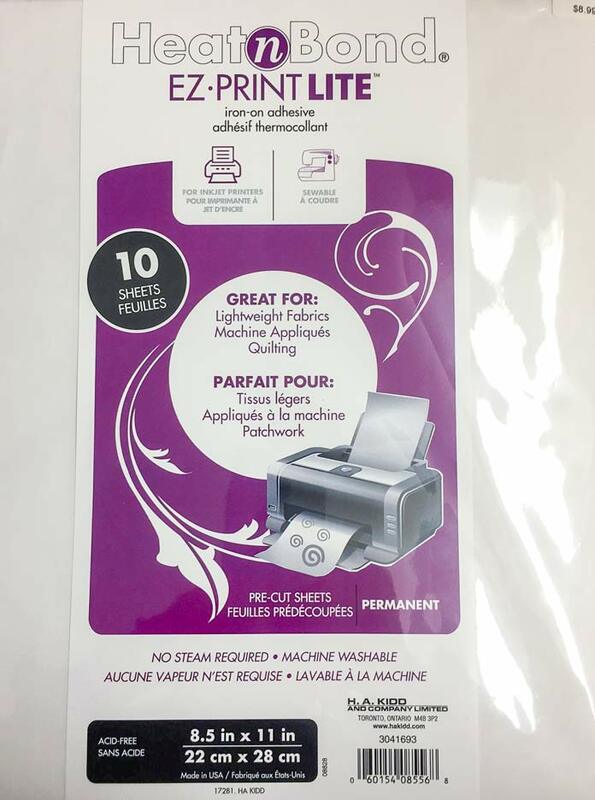 It’s truly indispensable for quilters! Before we begin to assemble the quilt, I want to mention another rotary blade sharpener: the TrueCut TrueSharp Power Rotary Blade Sharpener. With a name like that even Tim “The Toolman” Taylor would want one! What a great show that was—but I digress. It’s hard to believe the week is almost over. 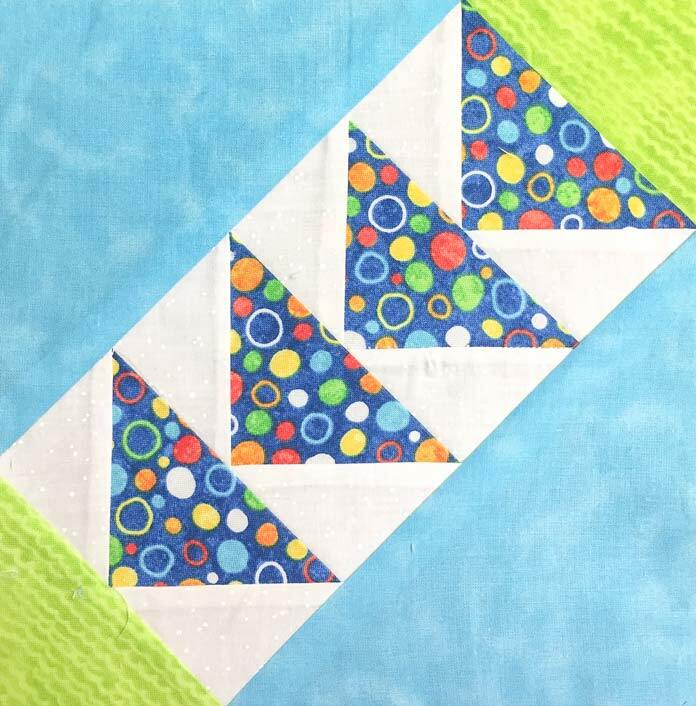 Over the last two days, I’ve been working on the Square Peg – Round Hole quilt using TrueCut 6½” x 6½” and 12½” x 12½” quilting rulers and played with the TrueCut 360º Circle Cutter which, by the way, I really enjoyed using! These TrueCut tools have made cutting the square and circle pieces for this quilt top super easy and fast! Yesterday, using the TrueCut 6½” x 24½” and 12½” x 12½” quilting rulers, I got all background fabric pieces cut! 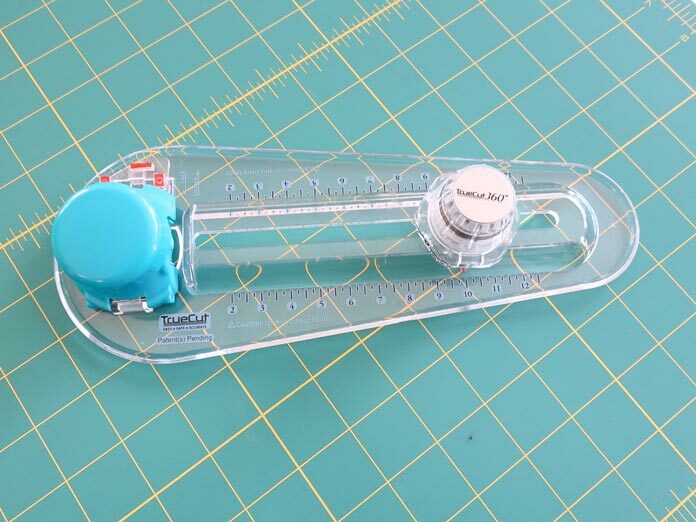 TrueCut quilting rulers are clearly marked and transparent to make fabric cutting easier. 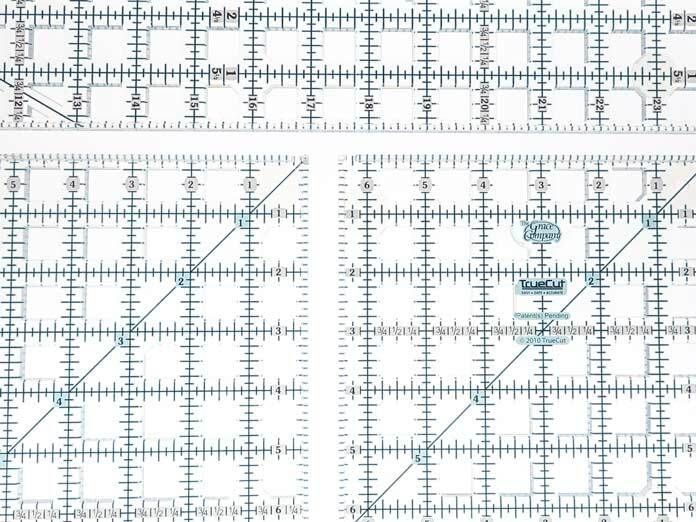 Today, I’ll use TrueCut 6½” x 6½” and 12½” x 12½” quilting rulers and the TrueCut 360ºCircle Cutter, to cut the accent color fabrics for the Square Peg – Round Hole Quilt. Yesterday, I introduced you to some of the TrueCut System tools I’ll be using this week to make a fun quilt called, Square Peg – Round Hole. 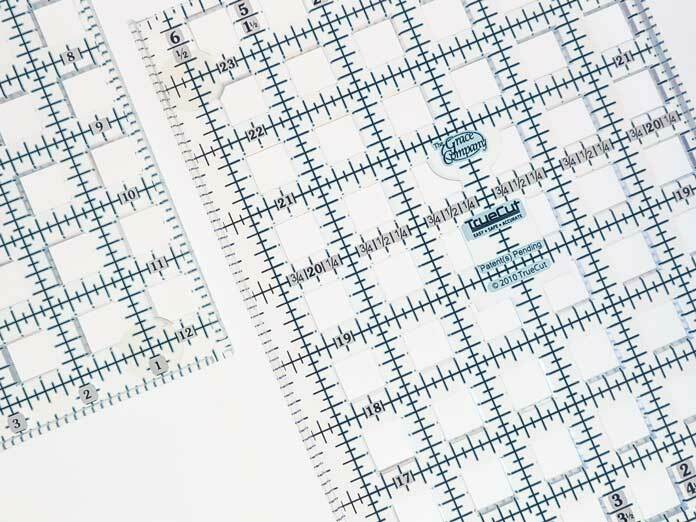 I’ll be using the following TrueCut quilting rulers 6½” x 6½” [16.5 x 16.5cm], 12½” x 12½” [31.75 x 31.75cm], and the 6½” x 24½” [16.5 x 62.2cm]. With the required rulers at the ready, it’s time to start cutting our fabrics! Happy March 11th, more commonly called: Monday! 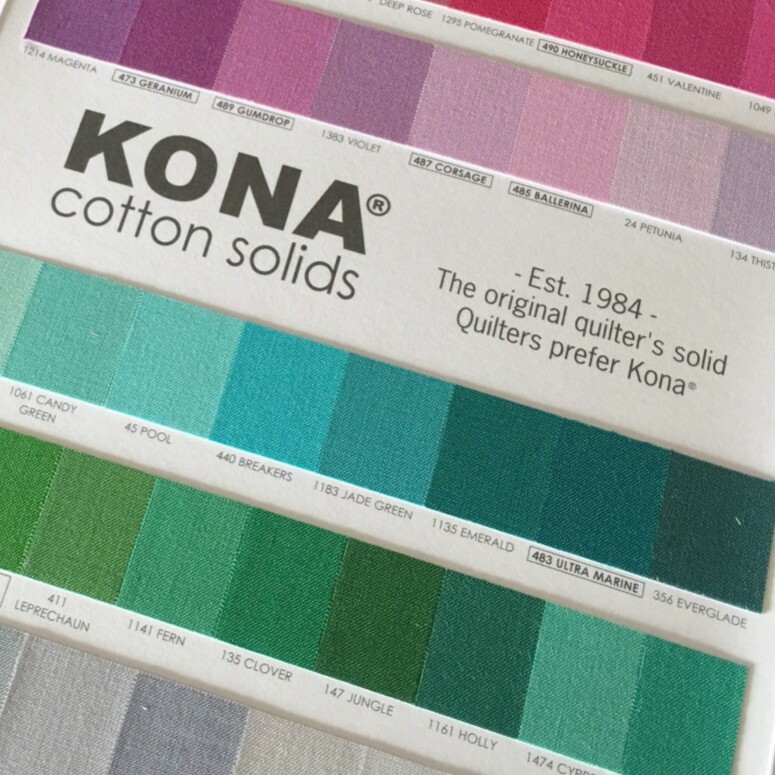 This week I’m excited to work on a quilt top design that I call: Square Peg – Round Hole. With a name like that, you’d be right in thinking we’ll be working with squares and circles. 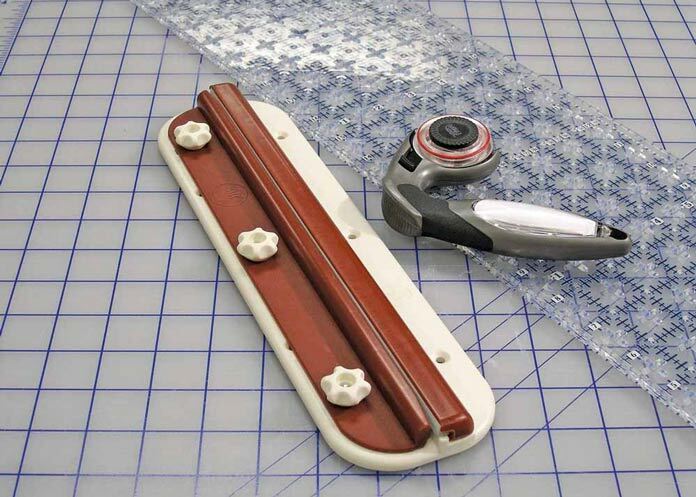 To make this week’s quilt, I’ll use a variety of excellent tools from the TrueCut collection. I’m writing this brief note to introduce to you our next week’s posts by one of our very exciting writers, Paul Leger. If you’re a QUILTsocial follower, you probably already know, Paul is a gifted quilt teacher with a strong enthusiasm for organizing quilt retreats of all kinds. Welcome back. We’re at day five and have already accomplished so much! All we gathered our supplies, did our cutting and preparation work, pieced and added borders then accented our Artisan Spirit Water Garden panel with both trapunto work and thread painting. As an added benefit we’ve been putting our needle and thread knowledge to work by pairing SCHMETZ needles with a variety of Sulky and Gütermann threads for beautiful successful stitching. I had a wonderful time yesterday showing you how I used basic trapunto techniques with SCHMETZ Needles, Sulky Thread and Fairfield Batting to add extra dimension our Artisan Spirit Water Garden heron panel. Today I’ll use a variety of Sulky threads and SCHMETZ needles to accent the heron with beautiful thread painted detail. 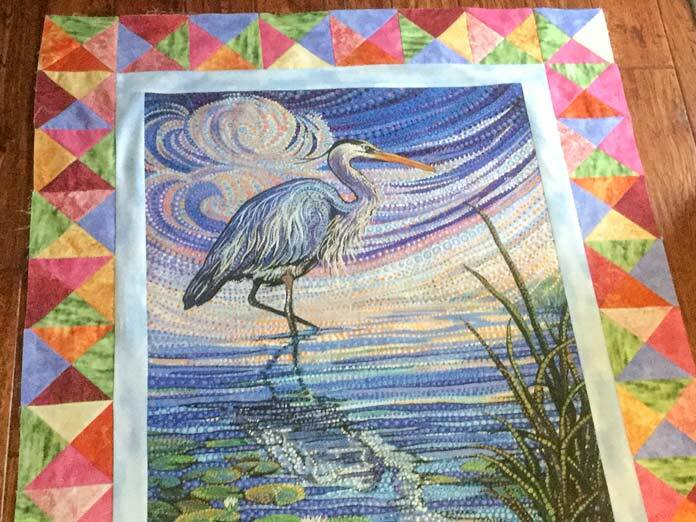 Yesterday was a busy day trimming the lovely Heron panel from the Artisan Spirit Water Garden, ironing the Sulky stabilizer in place, and using SCHMETZ needles and Gütermann thread to construct and attach borders to the panel. Today I’ll use Sulky thread, SCHMETZ needles and Fairfield batting to add extra dimension to our panel with easy machine trapunto. You may remember that we used trapunto in part three of my post Say it with quilting, a designer cushion to give a raised appearance to the words and motifs.